We are excited to announce that our Cuvée de Bois is now available in 375ml bottles (12 bottles per Case) as an exclusive limited run. Cuvée De Bois started life out as our Cuvée which began as an open fermented Farmhouse Ale made in our house style, that was co-fermented with Victorian "free run" Chardonnay and left to naturally sour for an extended period. Cuvée evolved to become Cuvée De Bois when we felt the finished beer needed some oude (old) Saison and French oak characters to mellow out the vibrancy of the chardonnay free run and give this ale some length. So to the young fermented beer, we blended 2 x selected barriques of 2013 & 2014 Saison that had been barrel fermented and aged on chardonnay lees a modern day ‘Bière De Coupage’ technique where young and old beer is blended. Cuvée De Bois was laid on it's side to mature and naturally carbonate using indigenous flora for the last 8 months. "A distinctly sour yet layered wine hybrid ale, the Cuvée de Bois' reminds me how expressive Australian Chardonnay can be when allowed to shine. The naturally building acidity cuts through the green pineapple & papaya skin which is the star of the show in this hybrid ale coupled with the unripe chardonnay top notes. The Oude Saison contribution very much tempers the fruit vibrancy with a kiss of french oak toastiness to round the matter out. For me this hybrid ale resembles the melding of what I love and adore in drinking, delicate & unique farmhouse ales and classic old world chardonnay. Sante!" - Costa Nikias, Founder & Chief Artisan La Sirène Brewing. We are very excited to share that our Jester King Brewery Collab was released at their brewery this weekend. Costa travelled there in April this year and worked together with the esteemed JK crew to create Song of Binding. We are not sure how much of this will make it to Australia & we will certainly keep you posted. We would like to thank everyone at JK for their hospitality, Costa had a blast getting to know & work with you all - happy to see this released. 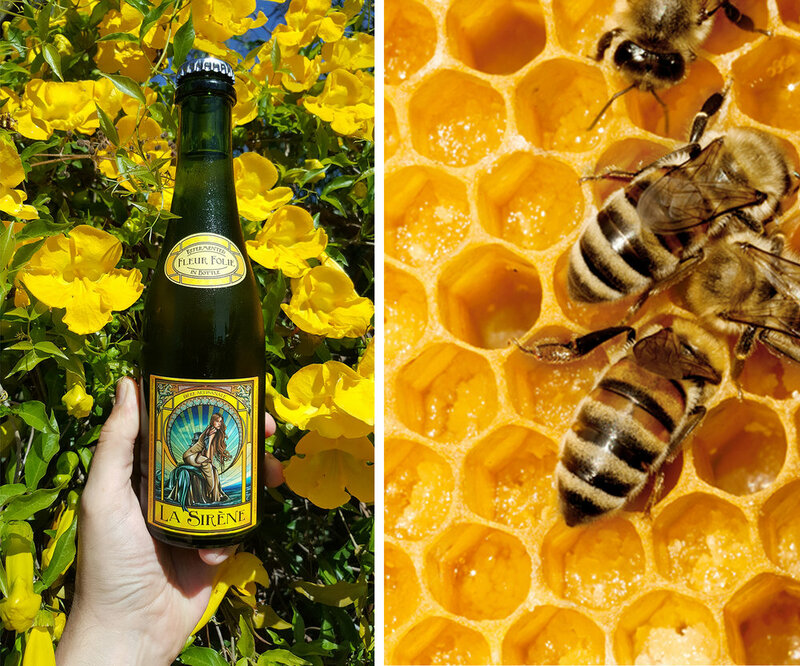 Honey and Sunshine in a bottle, after a winter of hibernation an old favourite Fleur Folie our Honey Saison (Saison de Miel) is back just in time for those hot summer saison sessions. 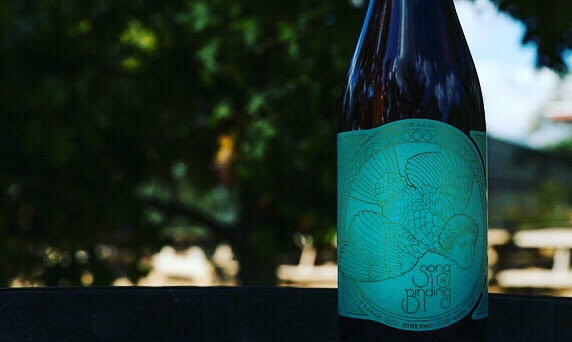 SEVENS SIRENS is a beer created in collaboration with Melbourne coffee connoisseurs Seven Seeds Specialty Coffee. A collaboration of spirit, quality and passion for all things coffee and Farmhouse Ales, together we created a unique Farmhouse Red ale infused with unique single origin coffee from the La Paz Honduras mountains to produce awakening results! Single Batch Release only. Our Farmhouse Style URBAN PALE just got named BEST BEER of 2017 by The Australian in Peter Lalor's TOP 20 Beers for 2017 (in The Weekend Australian Magazine - James Halliday's Top 100 Wines - The Wine Issue). Honoured to be recognized, given our obscure fascination & obsession with Saison and Farmhouse Styles, and to be recognized amongst all the other great beers that made the list too.